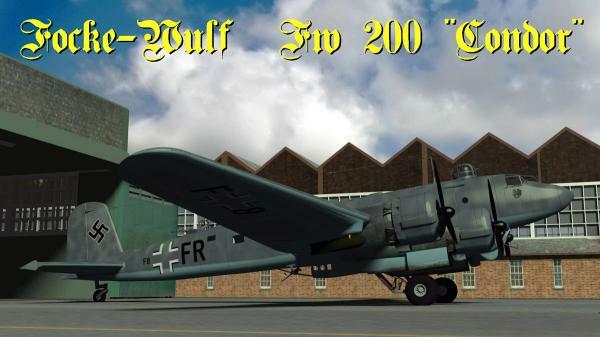 3D Model of Focke-Wulf FW-200 C4 "Condor", an aircraft of long-range maritime reconnaissance and anti-ship bomber manufactured in Germany in the Second World War. It was a low-wing monoplane, four engine. thanhnon (4 years ago) Inappropriate? keef666 (6 years ago) Inappropriate? Stunning model! thanks for this! oh, es great model. Historical!!! oscar (6 years ago) Inappropriate? increible trabajo , gracias pedro. Another nice one! It's reported that one of these planes was modified to bomb America, but was used for long-distance "special" missions to Japan. Thanks for the great and historical model! homicidal45 (6 years ago) Inappropriate? Thank you my friend, a really rare beauty!!! It was about time for a nice Fw.200 Condor. I don't know anyone who could have made it any better. Thank you again for sharing your time and talent. Llancalot (6 years ago) Inappropriate? Tenement (6 years ago) Inappropriate? Ditto on the wanting a Condor. Cheers! Pedro, this is excellent! Another beautifully crafted aircraft. Thank you for generously sharing your talents with us.